Your website is the homebase of your business. You’ve invested a lot in your website, making it informative, attractive, and valuable to your customers. Now, you want people to find your site. Does your SEO strategy include pillar pages? Many websites are now using pillar pages to organize the information on their site and improve search engine ranking for certain information. What is a pillar page? 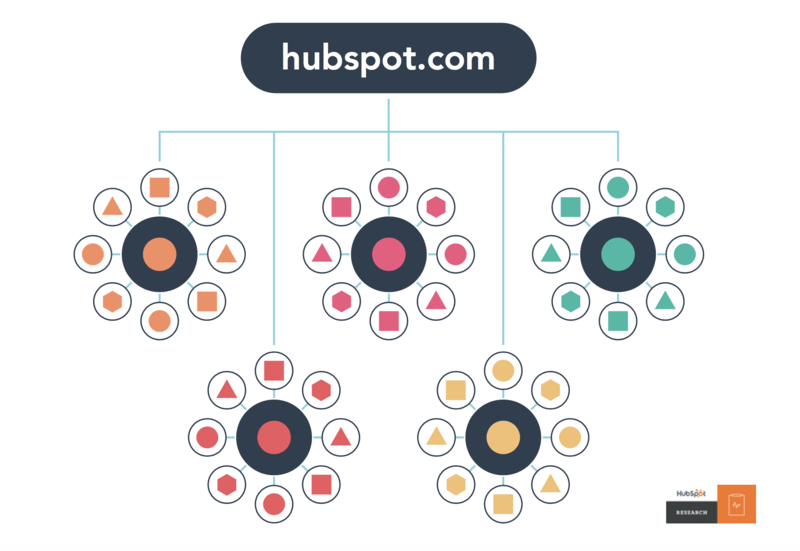 Hubspot defines it as a page that “covers all aspects of the topic on a single page, with room for more in-depth reporting in more detailed cluster blog posts that hyperlink back to the pillar page." Essentially, a pillar page is a web page that addresses a topic that is relevant to your industry. Pillar pages can go into detail to explain the topic, and include hyperlinks that lead to different pages addressing subtopics related to the core topic. These pages discussing subtopics also hyperlink back to the pillar page. So, how do you set up a pillar page? Your business has specialties and expertise, so you should start by choosing some broad topics related to what you do; for example, as a marketing agency, we might start with “inbound marketing,” “web design,” and “social media management.” These will be our topic clusters, which will be the theme of this group of web pages. By focusing on topic clusters instead of individual key words, you are more likely to appear on the SERP for these long-tail keyword searches. You will want to dedicate a pillar page to each topic cluster. The topic clusters will be built around each pillar page. Again, pillar pages should address a specific topic related to your industry. Pillar pages should include hyperlinks leading to pages of cluster content within your site. These pages will address specific aspects of your core topics and give your visitors the information they are searching for. A great example of a successful pillar page is Typeform’s Brand Awareness pillar page. The core topic, brand awareness, is discussed in detail throughout the page. The page hyperlinks to subtopics including brand equity, tracking brand awareness, and many more that are all related to the core topic. The pillar page itself acts as a resource as it includes detailed information about the core topic, while also offering the opportunity to learn more about subtopics by linking to additional pages of relevant content. Because you’ve linked all of your cluster content pages to pillar pages, when one page does well, your whole site benefits. The content clusters you chose are connected by the same keywords, so if one page performs well and search engine traffic is boosted, all your pages linked to that keyword will have better search engine rankings. As you create more content, you can continue to expand your topic clusters. As you create more pages, you will be creating more interlinking within your site, which will help boost the ranking of your whole site. By using topic clusters and pillar pages, you will be able to take advantage of what search engines can do and give your entire website a boost!